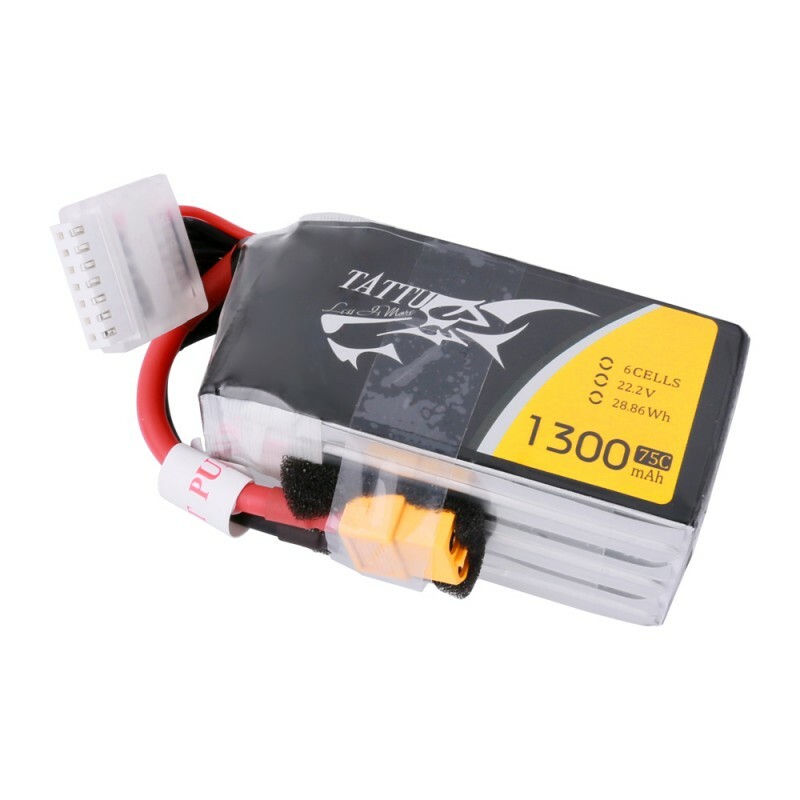 Tattu 1300mAh 6S1P 75C lipo battery packs Max Burst Discharge: 150C, Tattu 1300mAh 22.2V 75C/150C 6S1P Lipo Battery for FPV Racing Quadcopters. 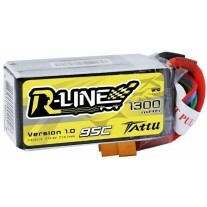 Suitable model :IRC Vortex 250 Pro & 285 (lightweight advanced setup), Lumenier QAV210 Charpu Edition/QAV180 & Raceblade, ZMR250. Tattu 1300mAh 22.2V 75C 6S1P Lipo Battery Pack is specifically designed for FPV Quadcopters. 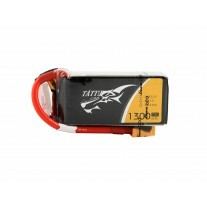 This battery pack has the ideal combination of power and weight. 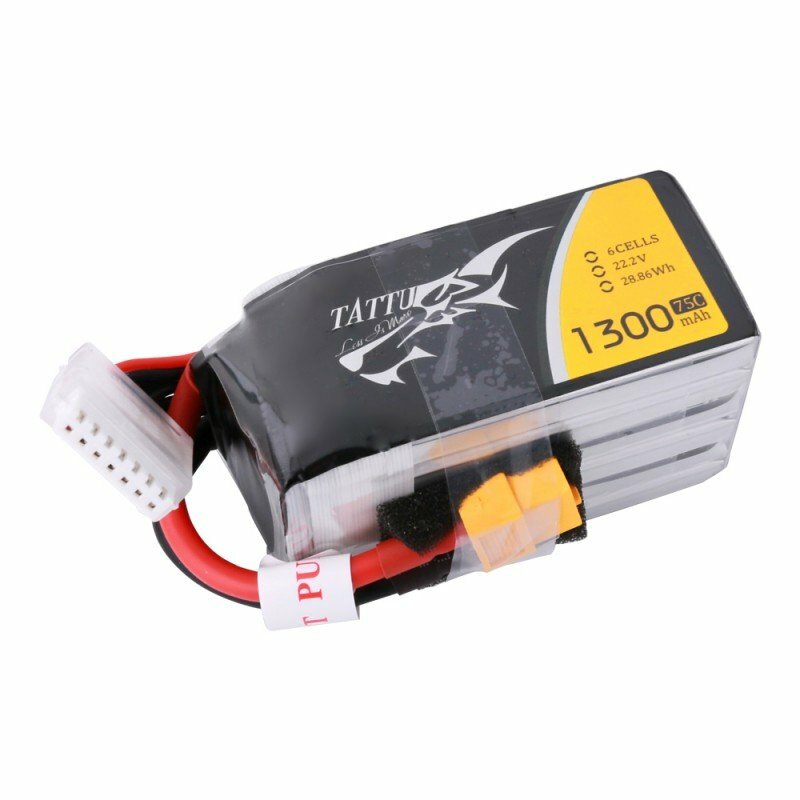 75C discharge rate gives you instant power boost when flying. 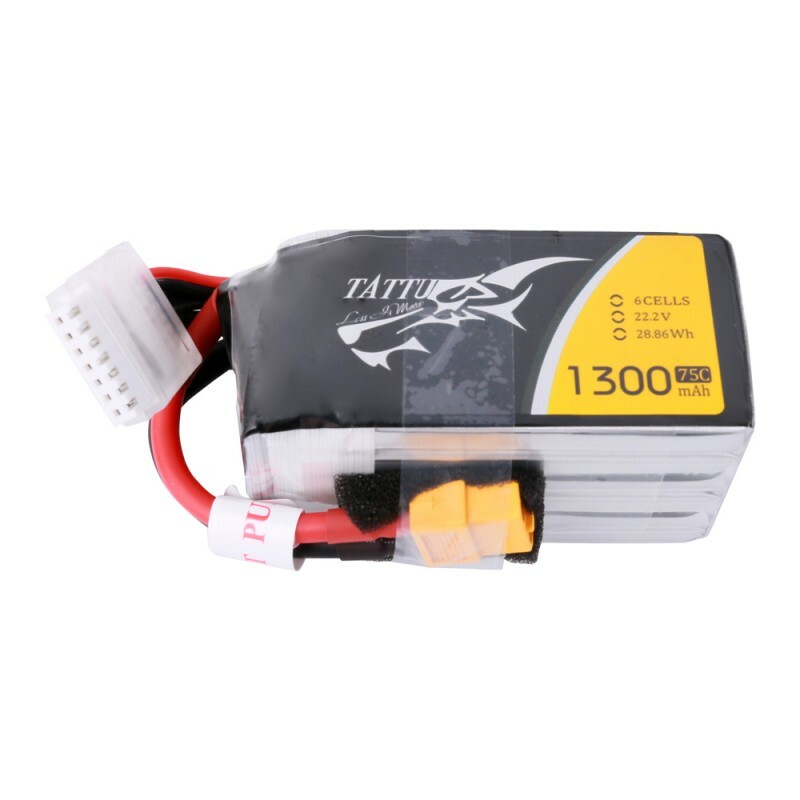 Tattu 1300mAh 22.2V 75C 6S1P Lipo Battery is compatible with the following models: FPV Racing Quadcopters. 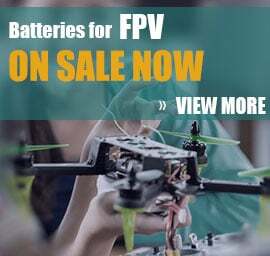 Models such as: IRC Vortex 250 Pro & 285 (lightweight advanced setup), Lumenier QAV210 Charpu Edition/QAV180 & Raceblade, ZMR250 etc. 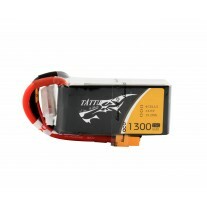 6.Safety:Gens Ace and its' partners fulfill the ISO9001, ISO14001, standards.